Tuscany is the most beautiful and the richest in cultural monuments region in Italy. Nearly half of the Italian cultural legacy is concentrated in an area of a little bit more than twenty thousand square kilometers; and Italy is known all over the world as art treasury. 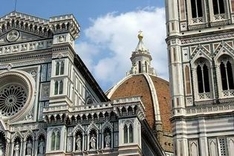 It's difficult to overestimate the contribution of Florence, the capital of Tuscany, into the world art heritage. The Western part of the region stretches along the shores of the Tyrrhenian Sea and the Ligurian Sea. Tuscany merges into central Italy in the East, the Northern part of it touches marble mountains, and the South is covered with hills. The chain of big isles and small islets embraces the coast of Tuscany. Tuscany is a popular tourism destination because of its rich cultural heritage, mild climate, and charming landscape. Tuscany offers an opportunity to give yourself up to bliss, to enrich your knowledge, or to go in for active leisure. Anyway, you will undoubtedly get an unforgettable experience. Our website is a travel guide to the most interesting Italian region and a great source of information on accommodation rentals in Tuscany. Hotels, villas, guest homes, and apartments are available for rent. Those who have visited Tuscany have warm memories about the region, admire it, and look forward to a chance to step on the ground of this blessed land once again. Not only landscapes and architecture make each province of Tuscany unique but also peculiar traditions, tournaments and festivals. Viareggio carnival is the main holiday event of the year. Hotels of Tuscany are waiting for visitors with different requirements and different income level. It is well-known that Tuscany is a popular Italian tourism area. 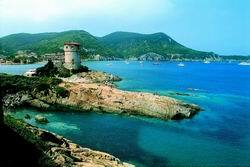 Tuscan coast spreads for more than 500 kilometers totally. 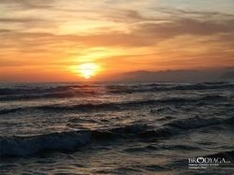 The chain of Versilia resorts is about 30 kilometers at length and is situated on the border of the Ligurian and the Tyrrhenian sea. Versilian climate is the best for sea recreation. The white marble rocks detain the warm air which comes from the sea and also protect sandy beaches and flora of the surrounding groves and pine forests. When coming back from Tuscany it is always pleasant to take something which will keep memories of this marvelous place. Aside many souvenirs there is a wide choice of goods peculiar to this or that province of Tuscany. Lucca, Prato, Siena and Florence are famous for their clothes which were already popular in the mediaeval times. The glory of the province is in its capital – famous motherland of Renaissance culture. Gentlemen of virtue will be disappointed only by one thing – it’s impossible to take pleasure in all masterpieces of the city for one day. Collections of the galleries and museums, churches, houses, palaces, squares, fountains and bridges are the works of genius people. Carnival in Venice is a very special holiday so nearly all holiday homes, apartments and other accommodations are booked even weeks earlier the holiday itself. So in order to enjoy your stay during the carnival vacation rentals should be booked in advance. Are you a fan of winter sports? If so, don’t forget to visit skiurlaub-infos.com and check the latest discounts at the ski resorts all over the world or you might miss the hottest offers!